We woke up Sunday morning and left Kansas City and the kids decided we should move there. I asked, “you want to move to tornado alley?” And they said, “never mind!” For the record, they have decided they want to live at each place we have visited so far. As we were headed out, we came upon a car stopped at a green light in front of us. We noticed the car had no one in it, and then Mr. John saw a sweet little lady walking towards the car with a gas can and immediately jumped out of the car to help her. She said she didn’t know what she would have done if he hadn’t been there because her tank was a little tricky. She kept turning back to wave at the kids in the car and blowing them kisses. She was so grateful for that simple service John performed and it was a sweet memory I want to remember. He was a little embarrassed that I took this pic, but it this is my blog, not his! We started in Independence Missouri where there are several sites that significant things happened in church history. It was fun to explore the early life of the pioneers at the LDS visitor’s center, then we went to Liberty Jail and on to Nauvoo, Illinois where we had our first firefly sightings. Our campsite was very close to the Mississippi River and it was super duper humid, but a beautiful place. We got our tent trailer set up, made dinner and settled in for the night. A big rainstorm came that night and woke Mr John, Bailey, and I. We watched the huge lightning storm as it lit up our tent with every flash. It was pretty exciting, but we stayed cozy and safe in our trailer. Since the sites we visited were more about the feelings and thoughts felt there, I’ll leave today’s posts saying we enjoyed a great sabbath day. From cakes to cookies: Meet Valerie! Cookie Decorating Classes is what we do. 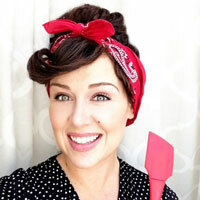 Arty McGoo is a world-renowned cookie decorator, cookie art instructor, and creative guru. She discovered cookie artistry back in 2010, and has been a creator and innovator in the medium ever since.